Reflections from the Heart hosted by David Abel is a thirty minute Scripture ‘Reflection’ on Holy Family Radio—AM 720 in Central Pennsylvania. ‘Reflections from the Heart’, an outreach of Gospel Reflection, airs every Friday at Noon. The same segment is rebroadcast on Sunday’s beginning at 3:30 PM. Join David and his guests as they break open the Bread of Life through a Gospel reading, as the same Holy Spirit who inspired the Biblical writers, also inspires us today with the Truths He reveals to our hearts through His Word. 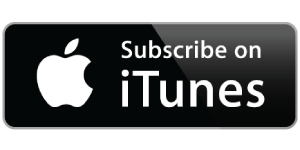 Podcast Now Available on iTunes or Your Podcast App! Since many have undertaken to compile a narrative of the events that have been fulfilled among us, just as those who were eyewitnesses from the beginning and ministers of the word have handed them down to us, I too have decided, after investigating everything accurately anew, to write it down in an orderly sequence for you, most excellent Theophilus, so that you may realize the certainty of the teachings you have received. Jesus returned to Galilee in the power of the Spirit, and news of him spread throughout the whole region. He taught in their synagogues and was praised by all. He came to Nazareth, where he had grown up, and went according to his custom into the synagogue on the sabbath day. He stood up to read and was handed a scroll of the prophet Isaiah. He unrolled the scroll and found the passage where it was written: The Spirit of the Lord is upon me, because he has anointed me to bring glad tidings to the poor. He has sent me to proclaim liberty to captives and recovery of sight to the blind, to let the oppressed go free, and to proclaim a year acceptable to the Lord. Rolling up the scroll, he handed it back to the attendant and sat down, and the eyes of all in the synagogue looked intently at him. He said to them, "Today this Scripture passage is fulfilled in your hearing." From Broadcast: "Reflections from the Heart"
More From "Reflections from the Heart"
Copyright © 2010-2019 Stewardship: A Mission of Faith. All Rights Reserved.